When it comes to the horror genre you’ll be hard pressed to find a studio with a greater legacy than Universal and when it comes to the horror genre who knows where it would be if not for the Universal Monster Movies, which were big time releases that the studio promoted as big events. 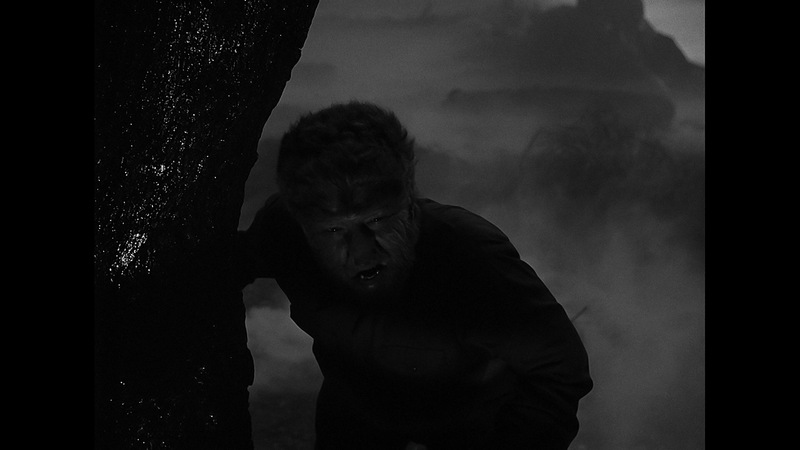 After reaching epic heights with the Frankenstein and Dracula series, which made Boris Karloff and Bela Lugosi legends 1941 saw the release of the Wolf Man, which in many ways was sort of an end of an era as after this the Monster movies would be more along the lines of a B-Movie despite being made by Universal. 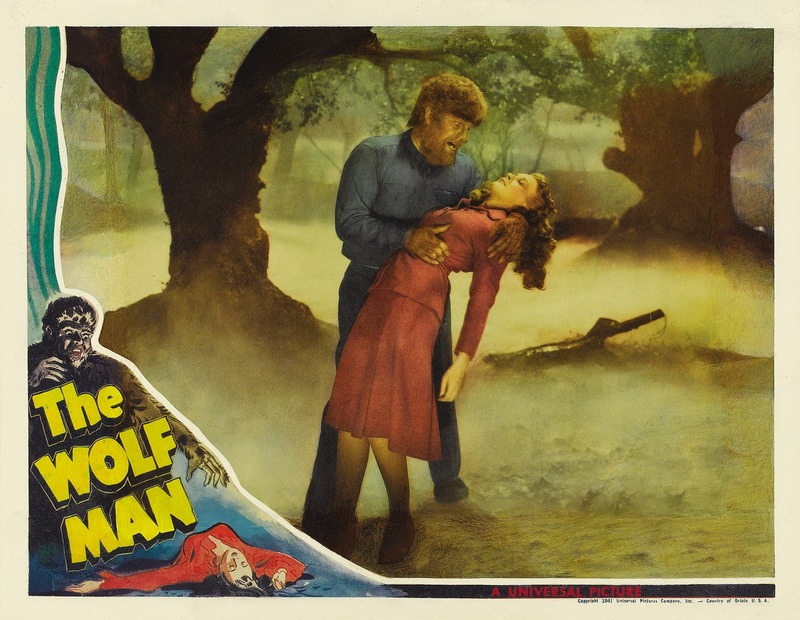 The Wolf Man wasn’t the first werewolf movie Werewolf of London from 1935 also by Universal seems to get that honor, but its the Wolf Man that set the bar for every film of its type to follow. 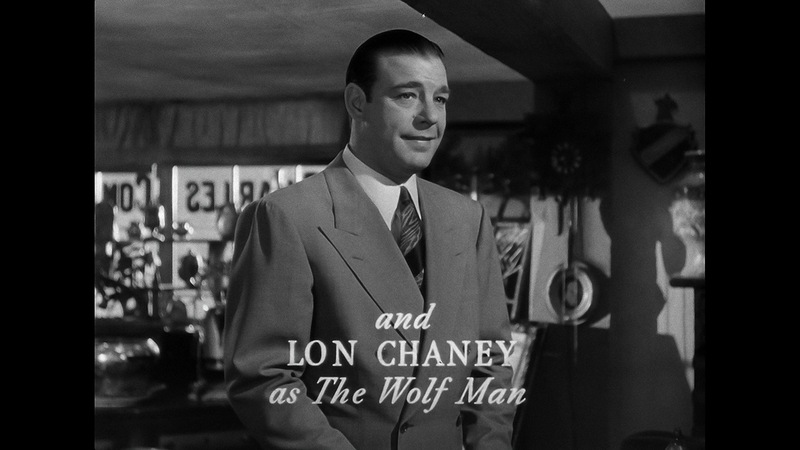 Lon Chaney, Jr was born Creighton Chaney on Febuary 10th, 1906 and despite having a solid career it’s not easy when your father is Lon Chaney, Sr Man of a 1000 Faces and not only was Jr in his fathers shadow, but also Karloff and Lugosi. Of course the name Lon Chaney helped his career, but in some ways also hurt. Seeing as I’m not a big fan of silent films I prefer Jr and while I prefer Karloff and Lugosi I would rate Lon Chaney, Jr up there with them and he deserves far better credit than he’s given at times. 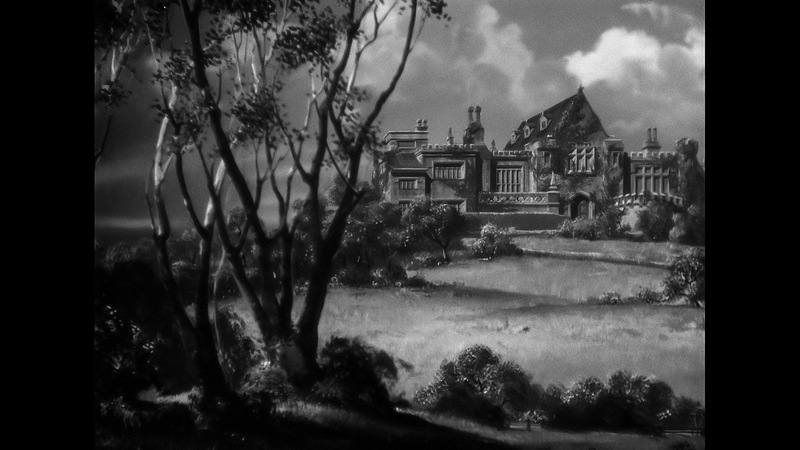 After the death of his brother, Larry Talbot (Chaney) returns home and also attempts to make amends with his father Sir John Talbot (Rains). 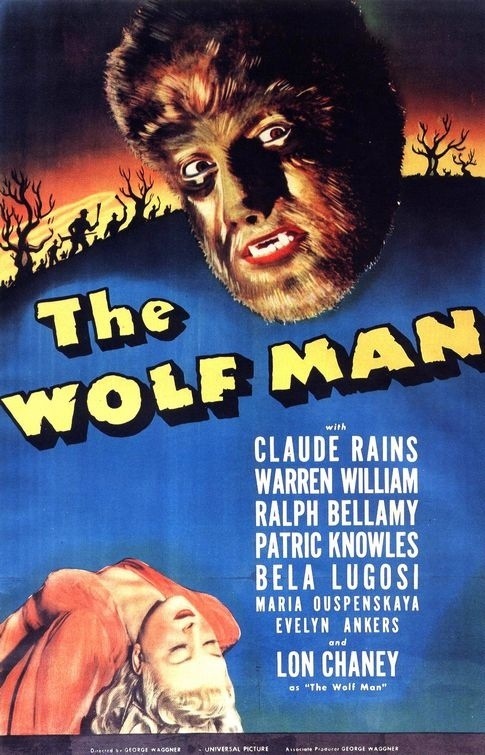 One night while at a carnival, Larry attempts to help a woman being attacked by an animal and the animal ends up being a werewolf and bites Larry and now during a full moon, Larry turns into the Wolf Man. The screenplay by Curt Siodmak is well plotted and well written and the characters are excellent and all greatly add to the picture. 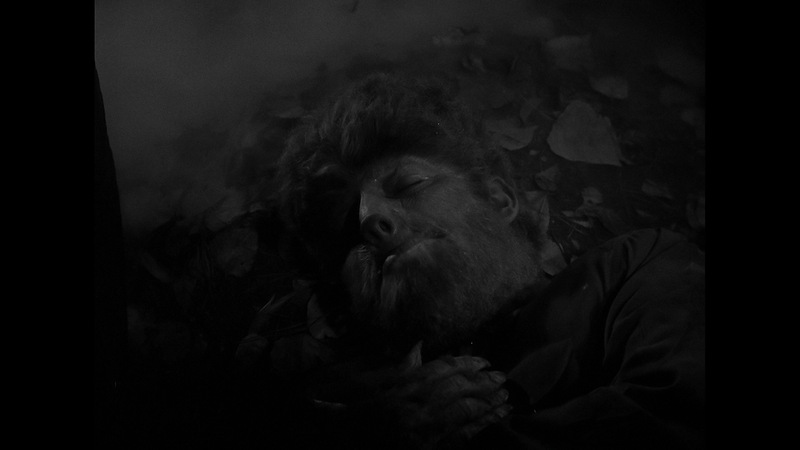 Like many movies of its era The Wolf Man is as much a drama as it is a horror movie and the monster also being sympathetic is another common theme. 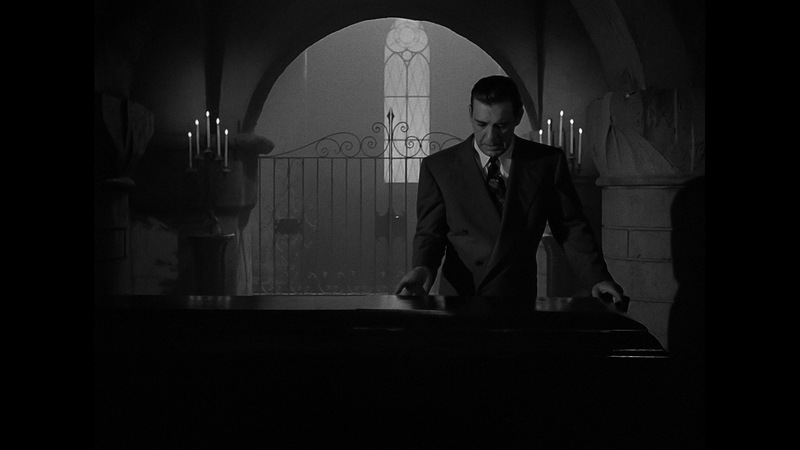 The script by Siodmak has influenced generation after generation of filmmakers and quite honestly of all the classic Monster movies I think the script (along with Dracula) holds up very well and while sure would need some tweaking I still think the script could play out well. 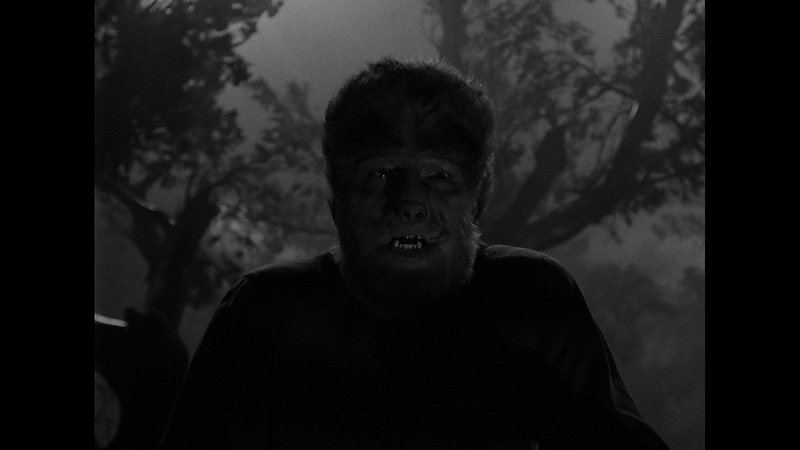 Of all the Monster movies the Wolf Man would be my 3rd favorite behind Bride of Frankenstein and Frankenstein, but the script unlike those 2 I truly think could still work without a major rewrite. 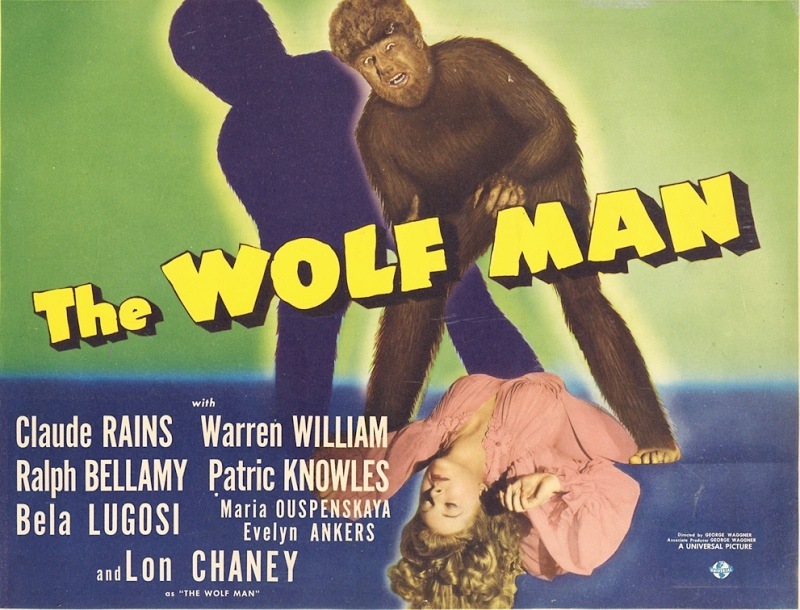 Director George Waggner creates a film for the ages with the Wolf Man; the pacing is great though the 2nd half does move a bit slower, but pacing is always strong and Waggner creates some genuine suspense and atmosphere. Like how the script holds up I also think the direction does as well as many of the techniques used by Waggner could still work with a modern audience (again of course with some changes). The final act of the film is flat out brilliant with some of the best scenes for any of the Monster movies. The final act is also quite sad and tragic and really helps elevate an already brilliant film. 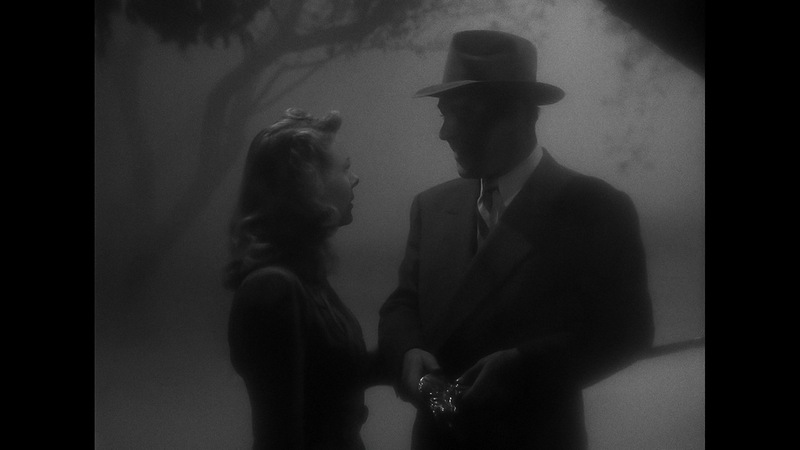 As much as I love horror flicks of the 30s and 40s my only complaint sometimes is the acting. 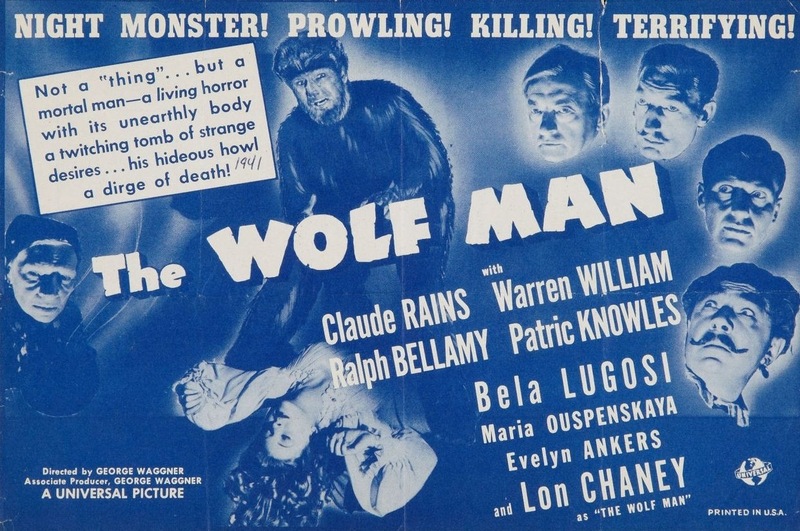 Some of the best acted horror movies of all time came from the 30s and 40s, but they also had a lot of over the top acting, which really isn’t the case in The Wolf Man. 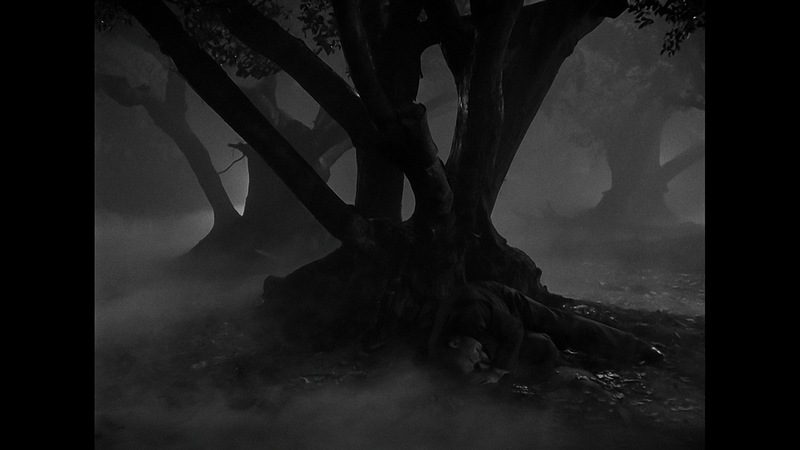 Bela Lugosi is solid in a cameo and Claude Rains steals the show as Sir John Talbot. Claude Rains gives a brilliant performance and was the strongest link in the cast. 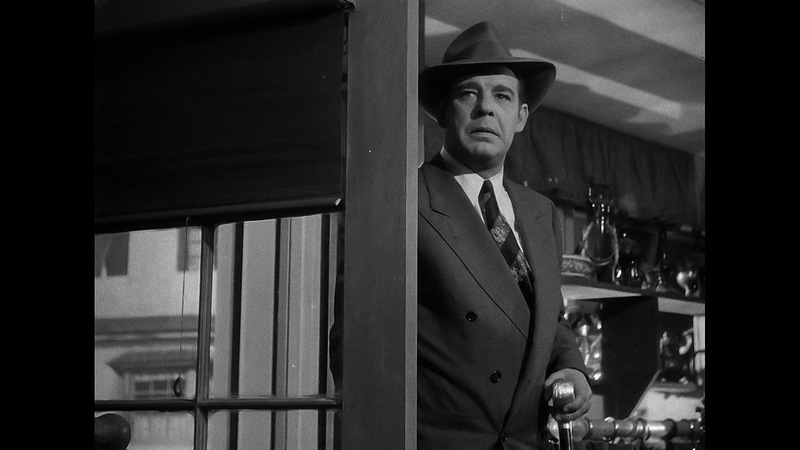 Lon Chaney Jr. gives the best performance of his career as Larry Talbot. Like the Frankenstein Monster, Talbot is a sympathetic character. Once Larry turns into the Wolf Man he cannot help himself and he’s very much a tortured soul. Characters like Larry Talbot were done a lot in the classic era of the genre and here it works well again. 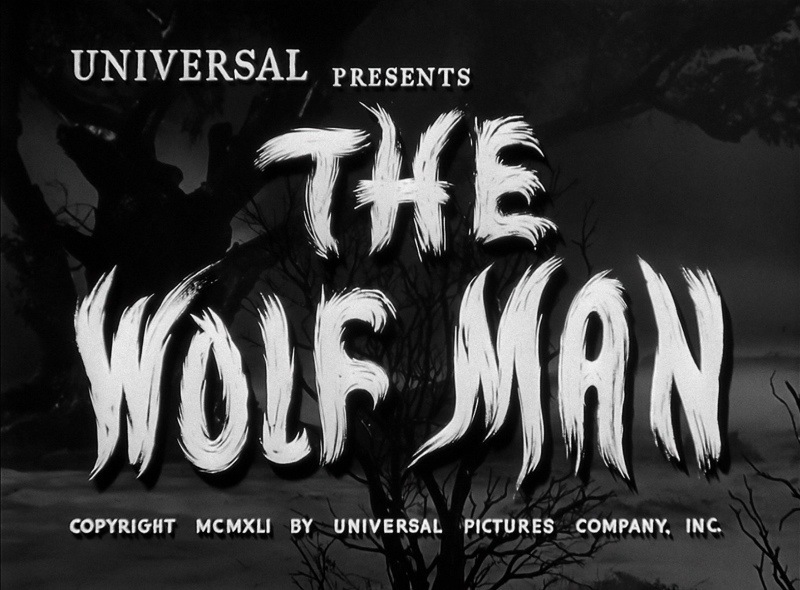 Overall The Wolf Man is simply a great film and by today’s standards it may not be scary anymore, but what it lacks there now is made up for with some eerie atmosphere. 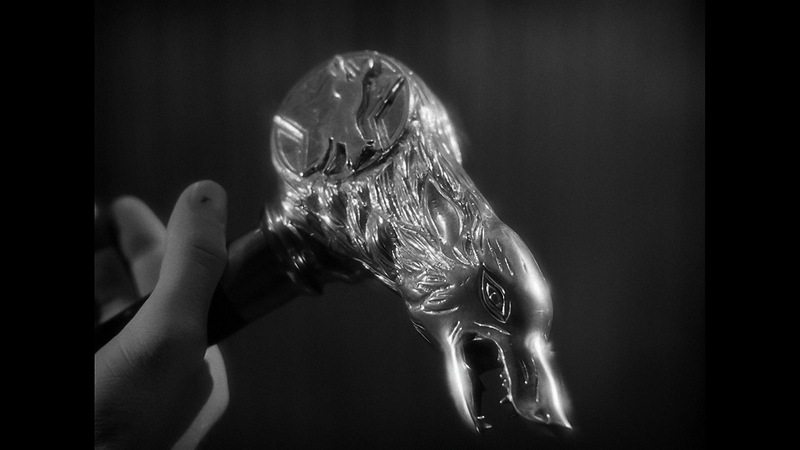 Like I said the film does hold up well for the most part and is one of the most important horror films ever made. 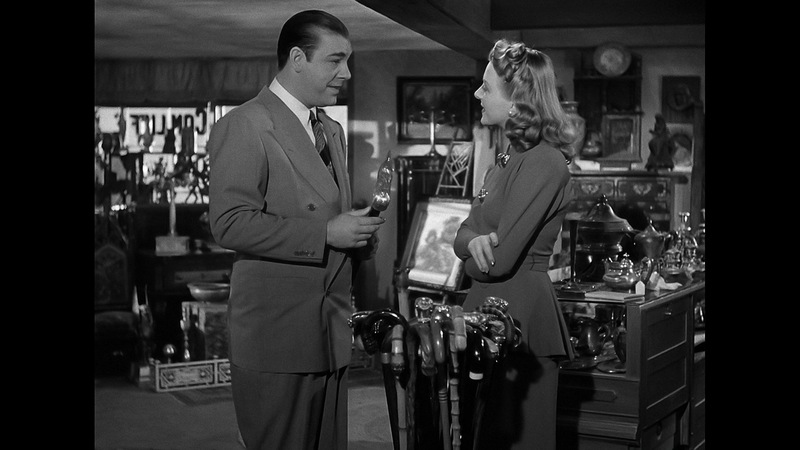 The Blu-ray release comes 71-years after its original release and Universal delivers a top notch transfer. While there might be some slight imperfections such as halos that appear, but I barley noticed it. The BD looks simply fantastic. I never got around to picking up the 2010 SE DVD so I really can’t say how much of an upgrade the Blu-ray is, but when compared to the Legacy Edition the DVD looks like a VHS. The only plus side to that DVD edition is you get 3 more films. But quality wise Universal delivers a beautiful HD transfer to go along with a solid audio track.